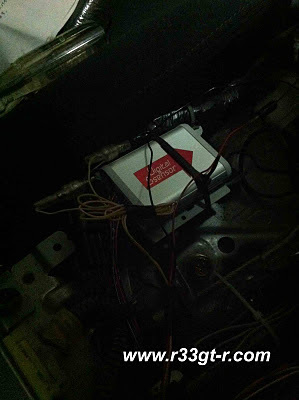 After Aki's last post on Series 3 R33, I started perusing his blog and noticed something he recently replaced on his car. 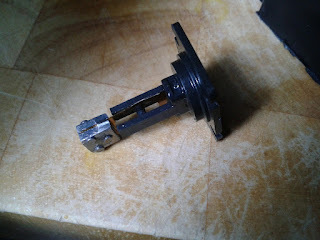 Do-Luck offers a digital G-Sensor as a replacement for the OEM analog sensor for the R32, R33, and R34 GT-R. 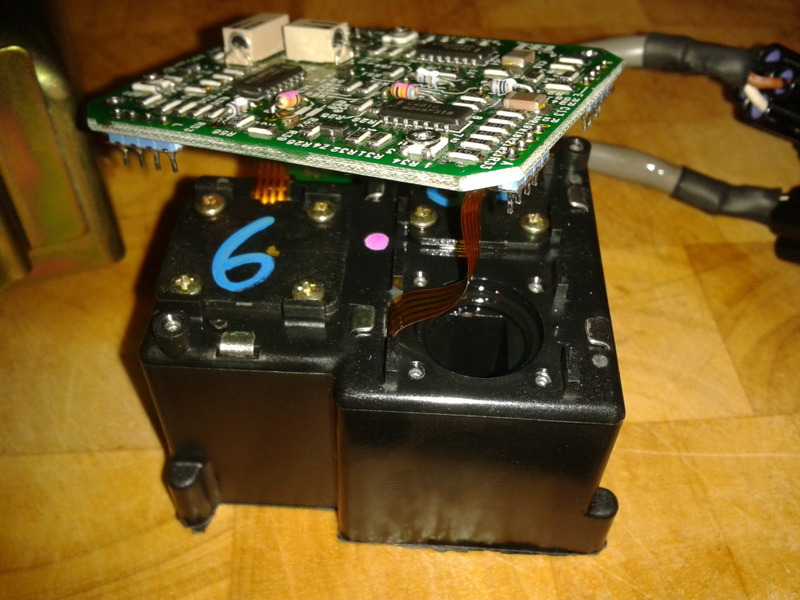 The OEM analog sensor is an expensive proposition, normally over $1000(last time I checked in 2005). This sensor comes in at around $530. ・High response digital sensor gives approx. 30-times faster response compared with stock analogue sensor. ・This allows the ATTESA-ETS to react and output its signal quickly based on the input G signals, bringing benefits under many different conditions. ・When cornering and breaking traction, the stock G sensor would delay in sending this information but the DIGITAL SENSOR can respond much quicker reacting to the situation to dramatically improve handling. 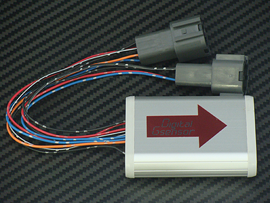 ・DIGITAL G SENSOR also reacts quickly to drag launches and the G changes during shifting. Big gains can also be felt under heavy braking where the 4WD mode activates quickly. Over at the GTR.co.UK forums, Aki posted some of his impressions, and was met with a bit of skepticism. 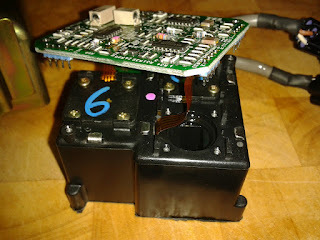 I thought that the digital sensor was interesting, but I wanted to know how the insides of the factory sensor looked. After seeing them, the digital sensor made a lot of sense. Thanks to R32 Combat, I got to see inside one of the $1000+ OEM sensors. The 3 G-sensor modules are visible. One is removed. 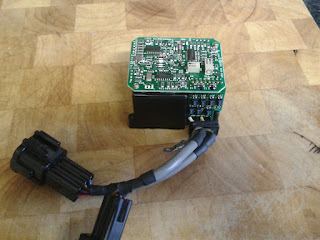 GT-R Magazine recently had an article about this new digital sensor. Along with Do-Luck, Midori Seibi is also selling a version of the digital sensor. Page 36-37, Vol 103 GT-R Magazine as narface posted. The article features Midori Seibi, Mr. Uchinaga, and his BNR32 demo car, which was driven at Fuji Speedway with the standard part, with the basic version (same as the Do-Luck version), and then the Midori Seibi version. I can see how this would help out a bit with hunting in the ATTESA system. The R32's system was always a little slower to react than the R33 or R34. For some more information on how the ATTESA system works, check out this post. Its interesting on what it actually does to the torque split when cornering and braking.